This is my way of celebrating the 60 years that have passed since the Sala Bianca,â€ he added, referring to the location where Italian designer shows were first held in the Fifties. 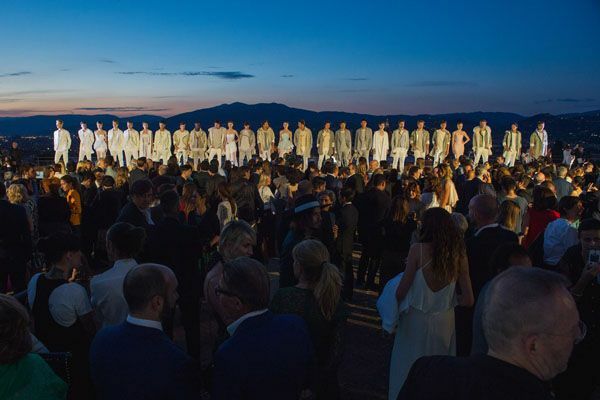 “This is an homage to my city,” said Ermanno Scervino at the dinner he held at Forte di Belvedere in Florence to celebrate the city and fashion on Wednesday night. “This is my way of celebrating the 60 years that have passed since the Sala Bianca,” he added, referring to the location where Italian designer shows were first held in the Fifties. 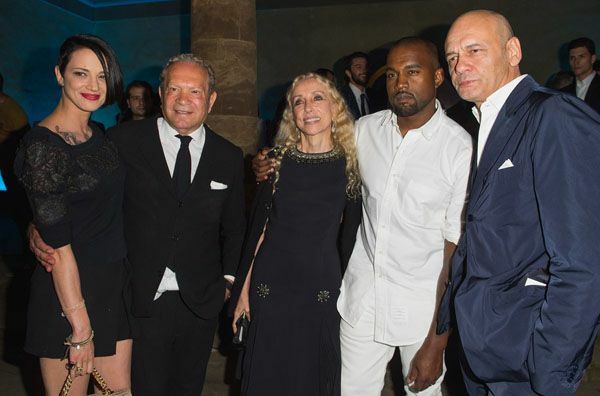 The event was also spurred by music, the designer said, adding he admired the music of Kanye West, who was among the guests. West was already familiar with Forte di Belvedere, since it’s where he married Kim Kardashian last month. The artist and his bodyguard, dressed in white in keeping with the event’s “White Renaissance” theme, milled among more than 300 guests, but weren’t quite as friendly to others West refused to talk to reporters. Agnese Renzi, wife of Italian Prime Minister Matteo Renzi, the former mayor of Florence, also attended. 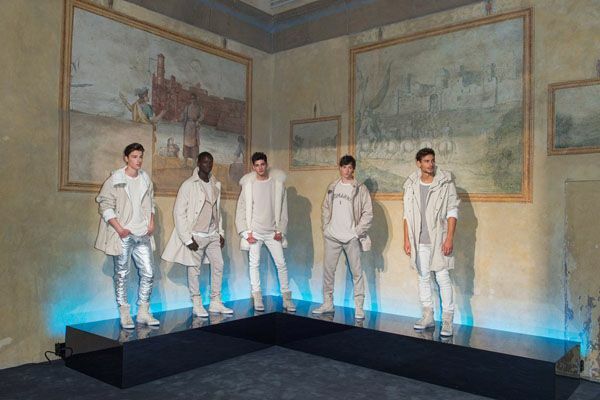 As guests chatted over cocktails and a panoramic view of the city below, a phalanx of male and female models dressed in the white, silver and pale hues of Scervino’s new, nonseasonal collection filed out onto a long dais before the crowd. A small drone camera hovered above the models and the crowd, flashing white and red lights and recording the scene. The collection, which included taffeta peplum evening dresses for ladies and parkas and silver jeans for men, will be the first Scervino has ever offered online, marking his entry into e-commerce. As the crowd filed past LED candles and a quartet playing Vivaldi into a transparent tent for dinner, a video projection of cascades of water gushed down the facade of the fortress. “I think it’s magic. It says everything that Italian fashion is about,” said Jane Reeve, chief executive officer of the Camera Nazionale della Moda Italiana. Mikhail Kusnirovich, the owner of Bosco di Ciliegi, said he has six Ermanno Scervino monobrand stores under a franchise in Russia and has worked with the designer for 15 years. “Today is the real renaissance of an emotion that is purely Italian, because it is a deeply touching event, not only in terms of scenography but also as a human,” said Kusnirovich. “I am deeply struck…and that is not something that happens every day,” he added. Leonardo Ferragamo, whose family company Salvatore Ferragamo is also based in Florence, praised the event’s essential “elegance and simplicity” that is typically Florentine. “All you have to do is turn your head. Look at what you see,” Ferragamo said, gesturing to the view of the Florence Cathedral below.